This Halloween season, my four-year-old son discovered Ghostbusters. That means I’ve spent much of the last few weeks sitting through endless screenings of the 1984 original (“Ghostbusters boys”), its 1989 sequel (“Two Ghostbusters”), and the 2016 reboot which is honestly not as bad as the Internet wants you to think (“Ghostbusters ladies”). But it also means that I’ve spent a lot of time in the car, driving to and from daycare, listening to the soundtracks of those films and pondering their respective merits. And I’ve come to a conclusion that may be controversial: Ray Parker, Jr.‘s theme for the original movie is not the best Ghostbusters theme song. Instead, that honor goes to “On Our Own” from Ghostbusters II, performed by Mr. Bobby Brown. The appeal of “On Our Own,” on the other hand, isn’t strictly limited to its context. Sure, there’s the rap, which basically prefigured Will Smith’s whole late ’90s career by delivering a full synopsis of the film in a few rudimentary rhyming bars; but give or take a couple references to battling “Vigo, the master of evil,” it otherwise just sounds like a typical New Jack Swing song. And a pretty damn good one, at that: the track was written and produced by L.A. Reid and Babyface, who certainly knew a thing or two about crafting New Jack Swing hits. Sometimes I even suspect that “On Our Own” wasn’t written for Ghostbusters at all, but is just a repurposed outtake from Don’t Be Cruel; its themes of going it alone are, after all, pretty close to Bobby’s usual “My Prerogative” wheelhouse. Some, of course, might argue that the wide applicably of “On Our Own” is what makes it a weaker Ghostbusters song: if you don’t pay attention to the lyrics, there’s nothing especially spooky about it. But I think it’s worth acknowledging the fact that Reid, Babyface, and Brown gave us a song that can work both as a Halloween staple and as an R&B hit more generally. Parker’s “Ghostbusters” is fun in the month of October; but “On Our Own” is a jam all year round. And besides, even if I’m wrong, then at least we can all agree that it’s better than the new Ghostbusters song. That one is straight garbage. Tagged as 1980's, Babyface, Bobby Brown, Ghostbusters, LA Reid, new jack swing, Ray Parker Jr. While greeting it with a great sense of both surprise and anticipation? 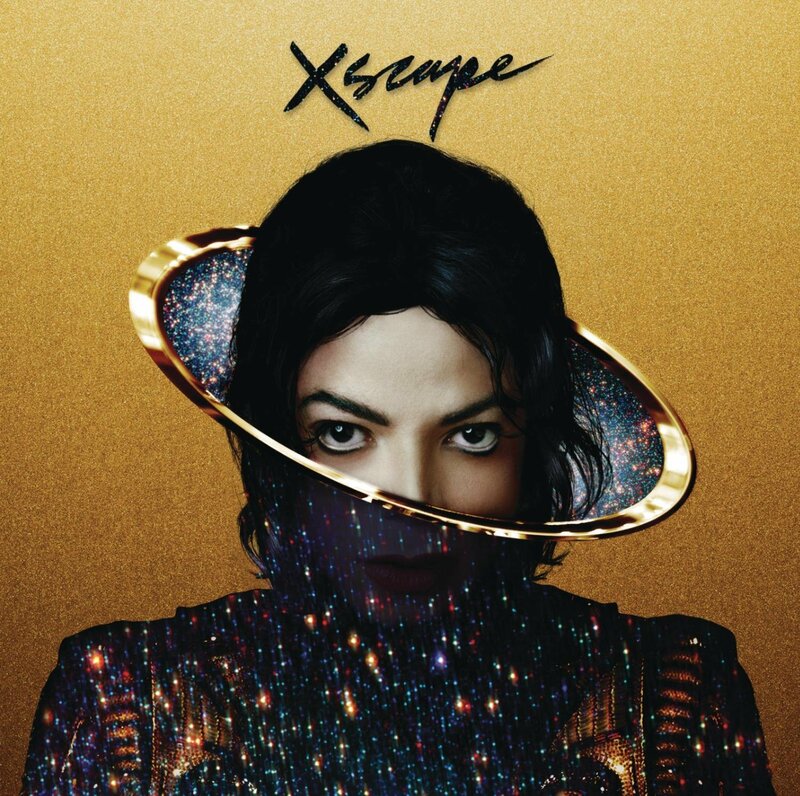 I was extremely disappointed in one thing about Mike’s first posthumous album Michael: the fact that it used impersonators (and incredibly inaccurate ones at that) to fill in any unrecorded vocal parts by the man himself. To me it was a tacky way to present his musical legacy. Especially only a year after he passed away. That CD has been relegated to the bargain bins where I live now. And very likely for similar reasons to the ones that troubled me about it. So when this album was announced,again somewhat surprisingly? I was a bit concerned. However this time? Some important precautions were made on this particular set to give it a more cohesive flavor. A deluxe edition,this one,was released which contained the original eight song set along with the original demos to which the songs were based. The “new” tracks on the album were produced by and remixed under the supervision of LA Reid and Timbaland-who is also one of the producers behind guest artist on this album Justin Timberlake. Mostly originally recorded between the Bad and Dangerous,the happy news about this album is the simple fact that none of it features impersonators. They are all original MJ vocal tracks of some form or other. While set up to be an excellent set upon inspecting the liner notes,there was still the curiosity to find out about the contents within. “Love Never Felt So Good”,a fabulously arranged uptempo “sophistifunk” number is classic early 80’s Mike: the sound that made him and has influenced so many others. Its presented three times: one solo,one the original mix and the other as a duet with the completely Mike influenced (and if I may say so,extremely talented in his own right) Justin Timberlake. As for the main album itself “Chicago” and “Blue Gangsta” are the more contemporary hip-hop/soul arrangements. On the other hand? They are not far removed from how Mike himself was approaching his own outlook on that form in the early/mid 90’s-with the funk at a premium. “A Place With No Name”,with it’s heavy beat boxing and bass synth led,shuffling R&B type tempo along with the electronically textured “Loving You” both showcase how much the sound Mike pioneered in the 80’s is actually effecting music today. “Slave To The Rhythm” and “Do You Know Where Your Children Are” again feature densely percussive dance/funk tracks that are not only ideal to move to but are full of consciencous and thought provoking lyrics. The title song ends out the album with another strong funky dance jam. The original version of “Chicago” is my favorite of the unmixed versions-a strongly Thriller era sounding number that uses those pitch bended synthesizer melodic phrases I love about some jazzy mid 80’s funk-pop. “A Place With No Name” was of course a lot closer to the America hit which inspired it-with a strong West Coast folk-pop guitar flavor about it. “Slave To The Rhythm”,”Do You Know Where Your Children Are” and the title track all have a similar flavor to the funkier end of Mike’s late 80’s sound while only “Blue Gangsta” isn’t far removed in quality from the original. Including a DVD documentary about the making of it,this album represents to me the album Mike would’ve been good to release before he passed away. Quite frankly the instrumentation,compositions and vocal performances completely blow away anything on either Invincible or Michael in terms of quality. For one thing,Reid never takes his eye off the fact that part of what made Mike such a musical icon was his reliance on uptempo music-especially FUNKY uptempo music. And honestly? This album gives you nothing but that. This is the Michael Jackson that I loved and who inspired my own musical journeys. And I think those who admired his musical melodies and grooves might feel the same way.